She was a native of Bridgeport, AL, a 1936 graduate of the University of Tennessee at Chattanooga and a member of Alpha Delta Pi Sorority. She received her medical technologist training from Baroness Erlanger Hospital, Chattanooga. 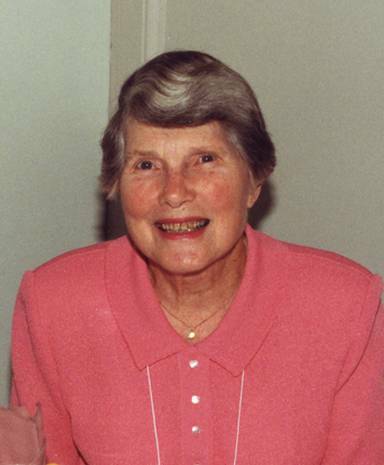 She was past president of the Florida Medical Association Alliance; a life member and past president of the Orange County Medical Association Alliance; Orlando, past president of the Young Women's Community Club, Orlando, member of the Rosalind Club, Orlando and member of the ADPI Alumni Association, Orlando-Winter Park and Tallahassee. She was also active in teaching Sunday school in Orlando, Marianna and Tallahassee, was director of Christian Education for five years at First Presbyterian Church, Marianna, and was a librarian for ten years at Fellowship Presbyterian Church, Tallahassee. Other survivors include two daughters, Frances Jouett Bryan of Boone, NC, and Martha Dean Brewton of Wilmington, NC; a son, Boyd Gunter Steward of Potomac, MD; six grandchildren; and five great-grandchildren. Culley's Meadowwood Funeral Home. AAFA NOTES: SSDI records show that Martha B. Steward (SSDI# issued in FL) was born 16 Dec 1916, last residence Tallahassee, Leon Co., FL.